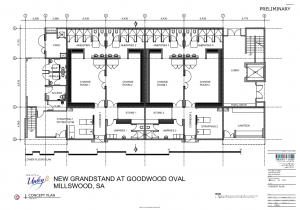 It’s all go with the Goodwood Oval Grandstand with Council signing off. 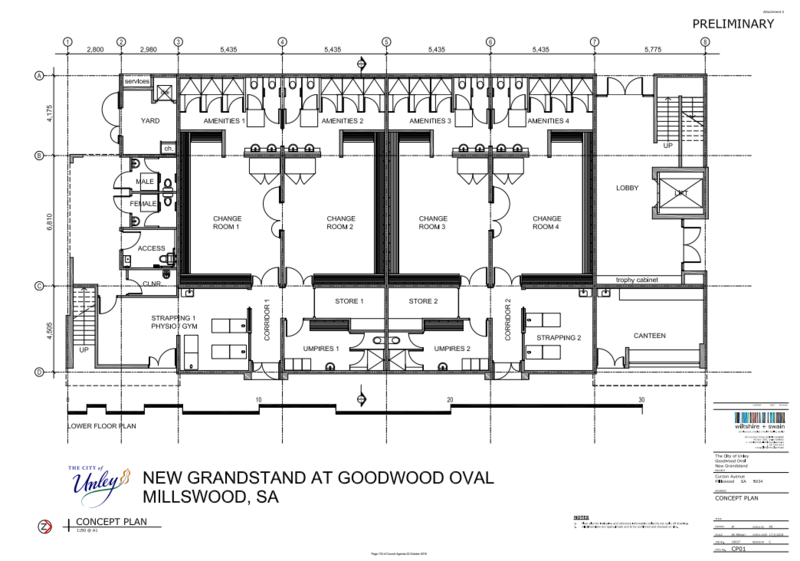 It’s all go with the Goodwood Oval Grandstand with Council signing off on the State Government’s grant. Council unanimously accepted the following motion on Monday night. It’s all go with the Goodwood Oval Grandstand as a result. In my opinion this is great news for the western Unley community. 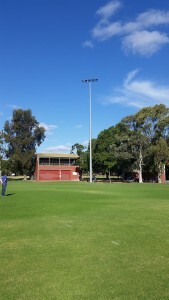 The Goodwood Oval Precinct is utilised well by the community. 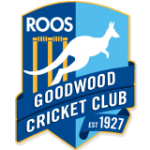 The Goodwood Saints Football Club and the Goodwood Roos Cricket Club are a big part of this. Both are leaders in their respective fields. With the activity that exists, the facility deserves better than the current accommodation . As acting presiding member in the absence of our Mayor, I was unable to move or contribute to the debate. It turned out that this was not needed. Your elected members were strong in their belief on the way forward. The decision means that we can now move from the concept drawings we have now to detailed drawings. 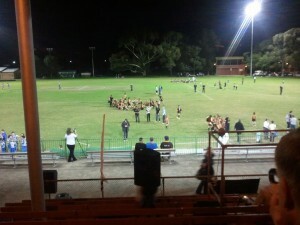 Council will work with the Department of Sport & Recreation and continue to work with the clubs to make to that end. Our community will be engaged as part of this process to. The motion recommended by our administration was amended on the night to accept a 2-storey solution. Members were of a similar view to the clubs as to which model best suited, not only the clubs needs, but the community at large. While it’s all go with the Goodwood Oval Grandstand, the motion also endorses both of these projects. The focus is to secure additional outside funding for both. This is needed as we have redirected the funding we allocated for these projects to the Grandstand to secure the State Government Grant. To secure outside funding more work will be needed on the concept designs to ensure it is fit for purpose and affordable. 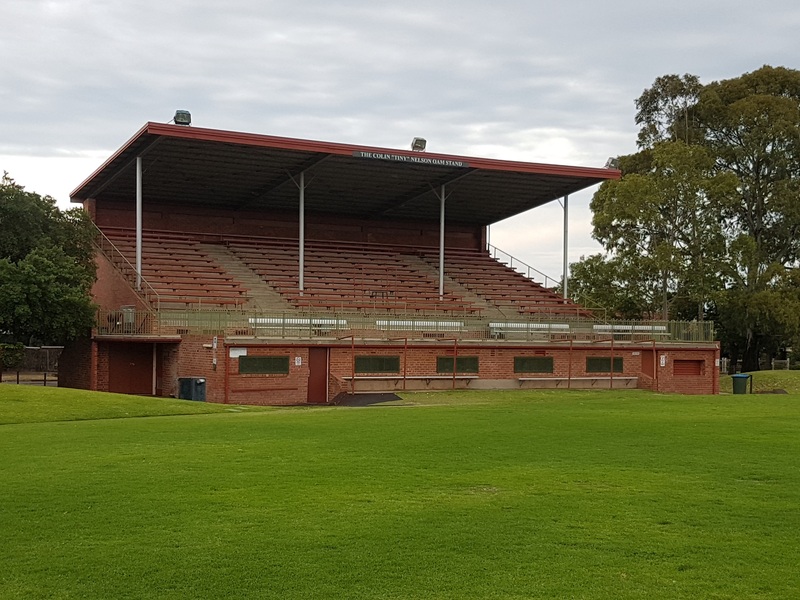 The recent announcement in the fight for the seat of Badcoe of a $ 2.5 million State Government grant to Council is about more than just a new Grandstand. It is much more. Locals are aware of the push by the candidates of both the major parties’ candidates for a new Grandstand at Goodwood Oval. From a Council perspective it is about much more than just a new Grandstand. 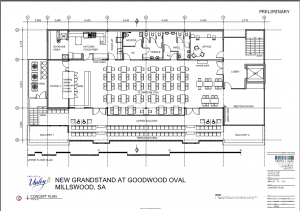 As evidenced by many posts on this blog site, Council has been working on a master plan for the Goodwood/Millswood Precinct for some time. Since that initial public consultation, we have had extensive consultations with the clubs. Balancing the needs of clubs on both sides of the Seaford Rail Line has been a challenge. We recently determined the priorities from the many opportunities identified for the precinct. 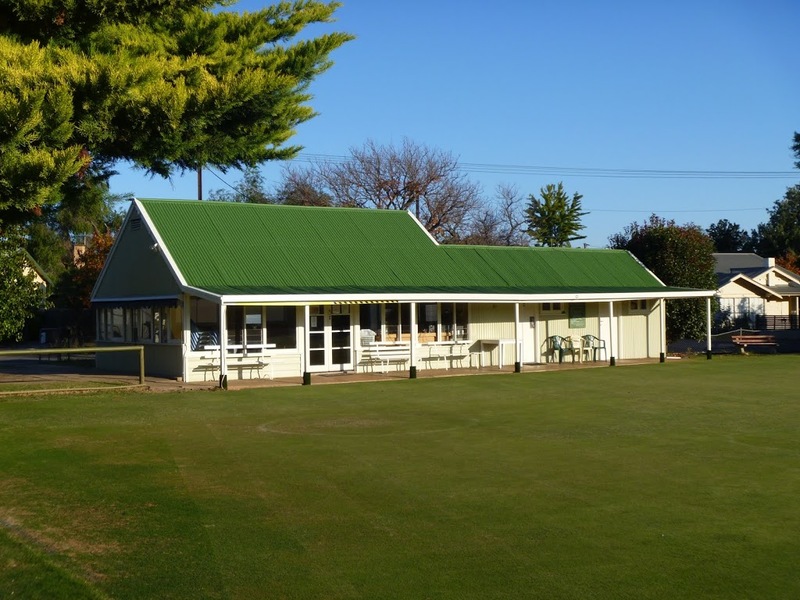 Before talking Goodwood Oval, we have identified a priority need to provide a new club room for the Millswood Croquet Club. Readers of this blog may remember me publically expressing previously the opinion that the current club room is a death trap. 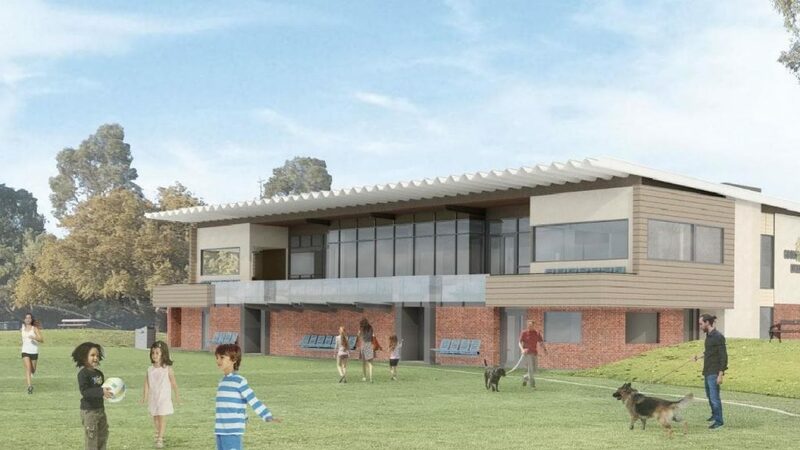 So, a new club room (some 245 m2 compared to the current 145 m2) is proposed. Funding for the projects will now have to be re-sourced. We allocated $ 1.2 m for all works in the precinct. Allocating $ 1.0 m of this to the grandstand will leave a hole in the funding bucket. Upgrade the Tennis SA court lighting. This project is designed to prevent light spillage from the tennis courts to surrounding houses and the streets. Provide a community area complete with access pathways in the north-western corner of the Oval surrounds. This should encourage more people to use this part of the precinct. 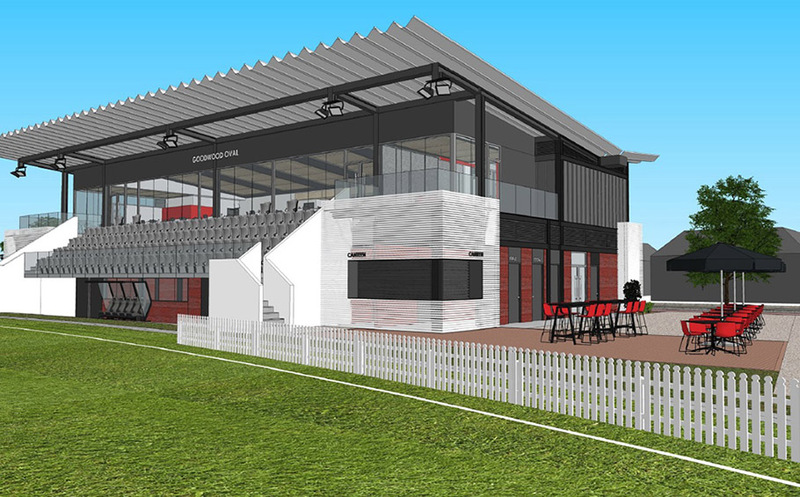 All the options, more than just a new grandstand, will be considered at our next Council meeting, tomorrow night. Recent media headlines have identified that the Battle for Badcoe focuses on the Goodwood Oval Grandstand. I am pleased that both the Labor (Jayne Stinson) and the Liberal (Lachlan Clyne) candidates are focused on the Goodwood Oval Grandstand. For someone acutely aware of the state of the current grandstand facility this is heartwarming. Some of the credit/blame for Jayne’s focus is probably due to me. I canvassed among other things redevelopment of the Goodwood Oval Grandstand when I first met her. This was a week or so after her candidature was announced earlier this year. I then followed up by introducing her to the Presidents of the resident football and cricket clubs. She has taken this prompting seriously, conducting her own survey. Lachlan Clyne, as Mayor of Unley, is of course only too aware of the state of the Grandstand. He is also aware, up until recently, of what work Council has put into determining a way forward. Trouble is the candidates have been so keen they have been replicating what council has already done. They have both been conducting their own public surveys. Surveys designed to see how the locals feel about replacing the current grandstand with new club rooms. Surveys on one option only. Council did this as the first stage of our master planning for the Goodwood Oval and Millswood Reserve some 4 years ago. This has allowed us to identify the priority projects and consider options. Something the candidates are not doing. There have also been reports that they are publically asking Council how much we would be prepared to contribute to the redevelopment. Hang On Guys! This and Millswood is a Council owned facility. As the Battle for Badcoe focuses on the Goodwood Oval Grandstand we ask the candidates how much their parties are prepared to contribute to this and the other three projects. We will shortly, hopefully at the November Council meeting, have options available to consider. Options that have been costed for all three projects to come out of the Master Plan. 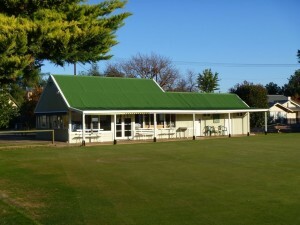 That includes the Grandstand, the tennis lighting and the Croquet club rooms. From memory we have committed around $1.0 m in our long term financial plan. We await on how much the future State Government is prepared to contribute to our project. After laying dormant for close to 2 years the good wood on the Goodwood Oval Improvement Plan is it is now back on the drawing boards. Well the grandstand is. 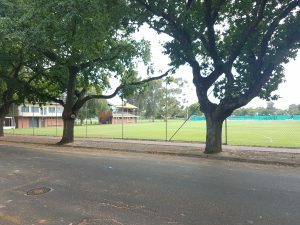 Back in 2014 we developed an improvement plan for the Goodwood Oval and Millswood Sporting Complex. The combined plan hit a snag however as we tried to resolve a conflict over use of green space at Millswood. While we have been trying to resolve this the Football and Cricket Clubs at Goodwood Oval, along with the Goodwood Tennis Club, have been the forgotten players. Both clubs have advised me that they require urgent works to resolve health and amenity concerns in the wet areas of the grandstand. This includes the shower facilities and their inappropriateness for females and the male club toilets (which have no ventilation). It includes the kitchen areas. They also are sadly lacking in storage space. Mindful that supporting some works needs are urgent enough to be included in next year’s annual budget I have put a motion to Council. After considered and eloquent representations by both clubs in support of my motion it was unanimously supported I am proud to say by council. 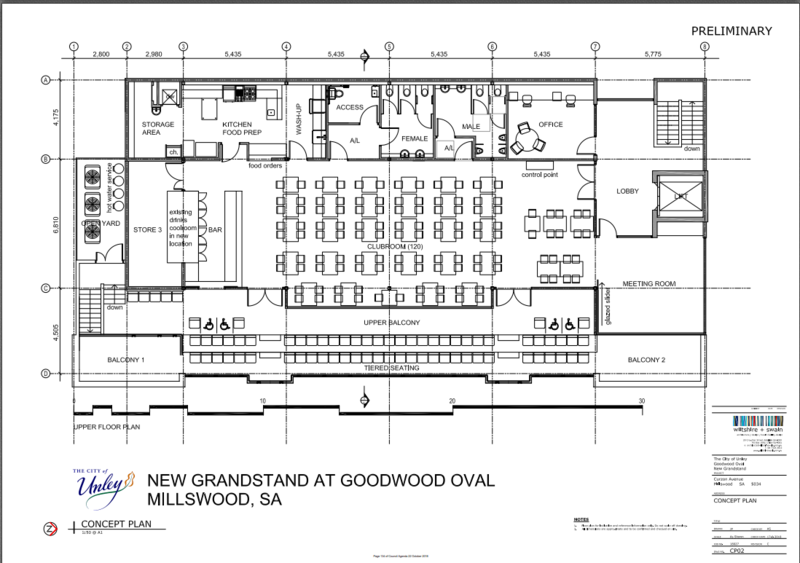 Administration commences development of concept plans for improvements to the Goodwood Oval and the grandstand facility. The concept plans review include accommodating female participation for both cricket and football, for players and umpiring alike. 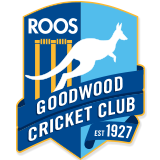 The resulting concept drawing be developed in consultation with the Goodwood Cricket Club and the Goodwood Saints Football Club. Administration identifies funding sources as part of the second quarter budget review. The concept plans be presented to Council at the March 2017 Council meeting prior to any community engagement. The motion aims to ensure we have an improvement plan that is up to date and accurately represents the needs of the future. We need to do this to ensure any early works we may contemplate complement and do not contradict the plan. We need first to update the improvement plan to recognise the emerging female participation in both sports. To schedule some works considered urgent and important in next year’s budget. To have a shovel ready project that could qualify for State Government grant funding. With the State Election looming in 2018 we have a great chance to lobby both major parties.